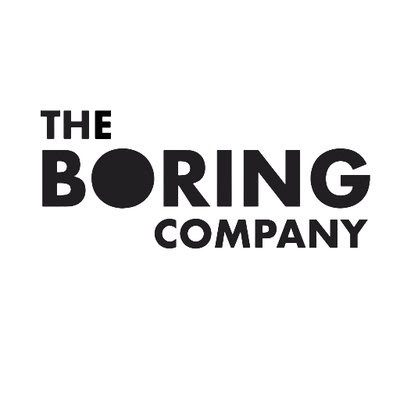 If you enjoy hearing about Elon Musk, dig on this: One of the intrepid entrepreneur’s lesser known ventures is entitled “The Boring Company.” But, aside from a double entendre, what is it? Take a glimpse at the the company’s website, and you’ll see a surprisingly uncomplicated, almost concerningly vague, homepage featuring a single video. Watch it, and you’ll see a stark red car (almost looks like a Tesla Model S, doesn’t it?) pull into an odd looking parking spot. The vehicle stops, and then sinks directly into the street. Panning downward into the earth, we see the Model eS-que descend down an elevator, travel along a metal track, and then converge onto a freeway system floating in a dark abyss. Seconds later it rises back up to a new street, heading to destinations unknown. The traffic issue that currently plagues many cities across the United States has been getting worse as populations rise, and stands to get much worse in the near future. Musk started the Boring Company to help solve this issue, and as a way to push alternative transport systems. The company’s site points to sheer cost as one of the largest issues with implementation, explaining “tunnels are really expensive to dig, with some projects costing as much as $1 billion per mile.” At the same time, it notes that current tunneling systems are highly inefficient, and that through improvements in both technology as well as technique, the Boring Company hopes to make tunnel systems become a much more feasible mode of transport. As can be seen from the concept video, vehicles using the tunnel system will pull onto car-sized skates. Once reaching the tunnel road, each skate will be electrically guided to any number of stops that may be placed on the way. The Boring Company site notes that “passengers travel directly to their final destination without stopping,” so travel will remain close to top speed at all times. While decreasing travel times, the electrically powered system reduces reliance on fossil fuels, as each car will only need to travel to the nearest skate station, where the tunnelway handles the rest of the work. The skates are also said to increase safety and increase maximum payload per trip. Just last week, Musk shared a behind the scenes look at the Boring Company’s LA project with his twitter followers. Most of the testing of the venture has been occurring beneath the SpaceX facility in Los Angeles, where the project has been awarded a test permit by the local government. “But what about earthquakes?” you might ask. Don’t worry, The Boring Company’s got you covered. The site makes sure to note that, when earthquakes do occur, tunnels happen to be one of the safest locations to be at. While above-ground structures tend to crumble and crack with the stress, an underground “tunnel moves uniformly with the ground” as shock waves emanate from the epicenter. As evidence, the company sites 3 earthquakes: two in Los Angeles, and one in Mexico City. In near all cases, no damage to tunnel systems was detected after the fact, and the very same tunnels were often used to transport emergency personnel just after the quake. Now at just a tenth of a mile, Musk says that he hopes to have bored a 17 mile stretch of tunnel underneath Los Angeles by next year. Once that’s done, a nearly hour long commute would be reduced to just 8 minutes. All thanks to underground electric car skates hurtling underneath Los Angeles at 125 mph.